Senior Sessions are actually really really fun. This senior session especially! We met up with Afton, her mom and sister as well as their super fun dog Hazel and Grandma. I am totally dying over some of the photos we captured with Afton! This Logan Utah Senior Session was epic! Plus, she is just drop dead gorgeous! I met these guys about 4 years ago. We took extended family photos for the Poulsen Family. I can’t believe it was 4 years ago! It’s crazy! Afton is currently a senior at Ridgeline High School. Graduation will be here in 4 weeks or less. What an amazing time of life for her! Graduation is such a huge accomplishment and a new step into adulthood. I’m so happy to have captured Afton’s beauty and this moment for her and her family! This location is one of my favorites! Though, it does get used often. We met at the Old Logan Coach Building after a cloudy day only to be met with the Bright sun before sunset. We made it work and got some killer shots. Though we were watching and hoping the clouds rolled in a little sooner we did manage to get some gorgeous light before the night was over! We also walked over to Crumb Brothers and Design West for a few photos at both locations. I love that they are so close together and easy to use! These three girls and their super pretty dresses were the perfect touch for this old building. Afton brought a hat which we used and incorporated into a lot of her session. And let’s not forget their dog! Hazel was super good! Though she was with Grandma for a while so we could get some pictures of just Afton. Some of my FAVORITE shots are of the two together! I am a total dog lover and my pup (though he isn’t a puppy any more) is my best friend! I’m so thrilled they brought her with them! Thanks again Jen, Afton, Eryn, Hazel and Grandma JoAnn. You guys were a blast to work with! 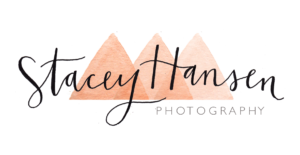 Contact Stacey Hansen Photography to book your family or Senior session. Whether its an extended family session, family of 3 or an individual senior- we have a price that will work for your budget! We capture your special moments, posed pictures and some fun photos in between. There is never a better time to book photos than NOW. Don’t wait, get those family pictures taken soon!